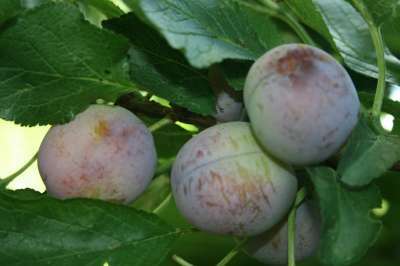 An early variety with the blue-black yellow fleshed fruits of fine dessert quality which are ready to eat from mid August. Heavy cropping, reliable and self fertile so will crop well on its own. For the heaviest cropping potential pollinate with: Czar, Victoria, Swan, Violetta etc.